Mamma’s gotta say - fruit is pretty incredible. A view you will have too after coming out of Tropical Fruit World. 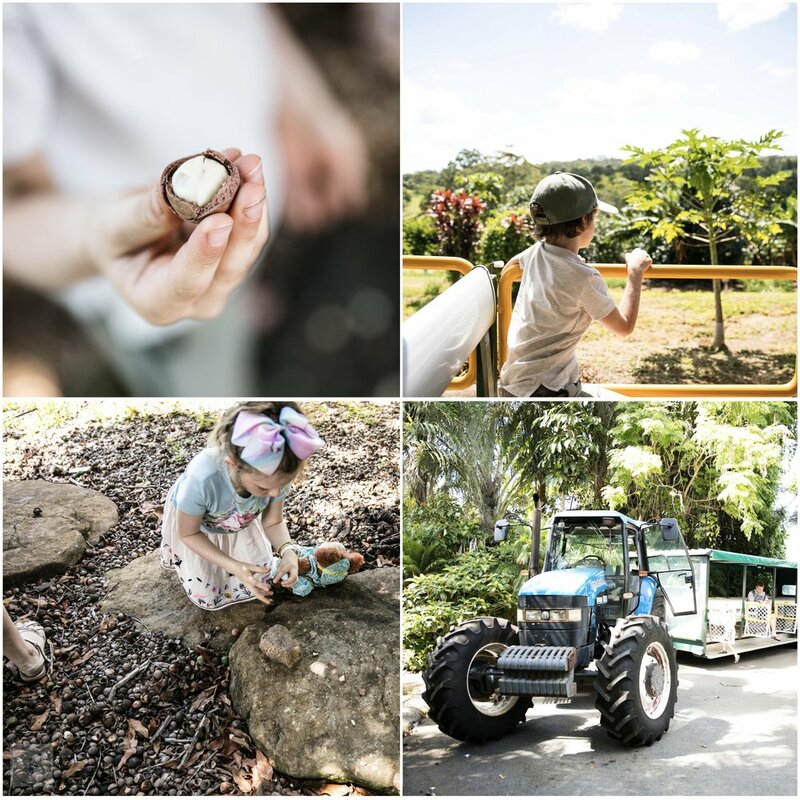 This place isn’t just a lesson on all the different and amazing varieties of tropical fruit, and their health benefits though - that is only part of the story. Mamma couldn’t help but liken the tour to a ‘nature version’ of Charlie and the Chocolate Factory’s Chocolate Room. With crazy looking fruit that Mamma has never heard of hanging off every tree - fruit that tastes like sherbet, or custard, even chocolate…even your average banana here tastes better. There are Aztec Gardens, Amazon Gardens, Rare Fruits of the World Garden, Bush Tucker Garden and even more. Hop off this magical mystery tractor and head to Treasure Island for a play on the playground before you jump aboard the (chocolate?) river boat for another adventure. The river is stunning with lilypads and geese and ducks all greeting you as you float past. You then dock at Old MacDonalds Farm to feed the sheep, kangaroos - and Mamma’s new favourite animal - the Miniature Donkey, by hand. This place is truly wonderful, there is so much to take in and see and do. I can’t even get all the info in this article - you just need to come and experience it yourself. You are sure to come out as amazed as Mamma! Mamma’s special mention: Farm accessed by tour only, although there is a gift shop, cafe, small playground and store at the entrance which requires no entry fee.